35" - 40" natural moulted feathers. as a cat toy and also for decoration. Floor/counter display stand holds 100 feathers. 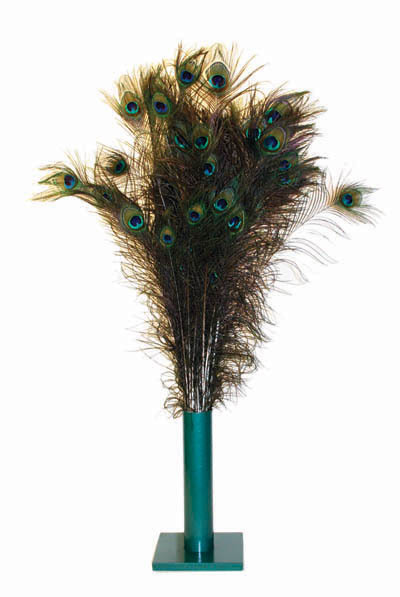 A natural companion to the Peacock Feather Cat Toy.